Tropospheric delay comprises one of the most important error sources in satellite navigation and is caused when radio signals broadcasted by GPS satellites propagate into the atmosphere. This study aims to evaluate the tropospheric delay performance for GNSS integrated water vapor (IWV) estimation by using GPT2w model, ECMWF's IFS reanalysis model and ground meteorological data from two stations of the permanent network of Cyprus and Greece. Based on the methods of critical fluctuations and natural time, we have shown that the fracture-induced MHz electromagnetic emissions recorded by two stations in our network prior to two recent significant earthquakes that occurred in Cephalonia present criticality characteristics, implying that they emerge from a system in critical state. LIVAS is a 3-D multi-wavelength global aerosol and cloud optical database optimized for future space-based lidar end-to-end simulations of realistic atmospheric scenarios as well as retrieval algorithm testing activities. The global database is based on CALIPSO observations at 532nm, while for the conversion at 355nm EARLINET data are utilized. Alverti, M. N., Themistocleous, K., Kyriakidis, P. C., and Hadjimitsis, D. G.: A Human Centric Approach on the Analysis of the Smart City Concept: the case study of the Limassol city in Cyprus, Adv. Geosci., 45, 305–320, https://doi.org/10.5194/adgeo-45-305-2018, 2018. Cuca, B. and Barazzetti, L.: Damages from extreme flooding events to cultural heritage and landscapes: water component estimation for Centa River (Albenga, Italy), Adv. Geosci., 45, 389–395, https://doi.org/10.5194/adgeo-45-389-2018, 2018. Dimopoulos, T., Tyralis, H., Bakas, N. P., and Hadjimitsis, D.: Accuracy measurement of Random Forests and Linear Regression for mass appraisal models that estimate the prices of residential apartments in Nicosia, Cyprus, Adv. Geosci., 45, 377–382, https://doi.org/10.5194/adgeo-45-377-2018, 2018. Evagorou, E., Mettas, C., Agapiou, A., Themistocleous, K., and Hadjimitsis, D.: Bathymetric maps from multi-temporal analysis of Sentinel-2 data: the case study of Limassol, Cyprus, Adv. Geosci., 45, 397–407, https://doi.org/10.5194/adgeo-45-397-2019, 2019. Gomes, C. H. and Almeida, D.: New insights into the Gondwana breakup at the Southern South America by apatite fission-track analyses, Adv. Geosci., 47, 1–15, https://doi.org/10.5194/adgeo-47-1-2019, 2019. 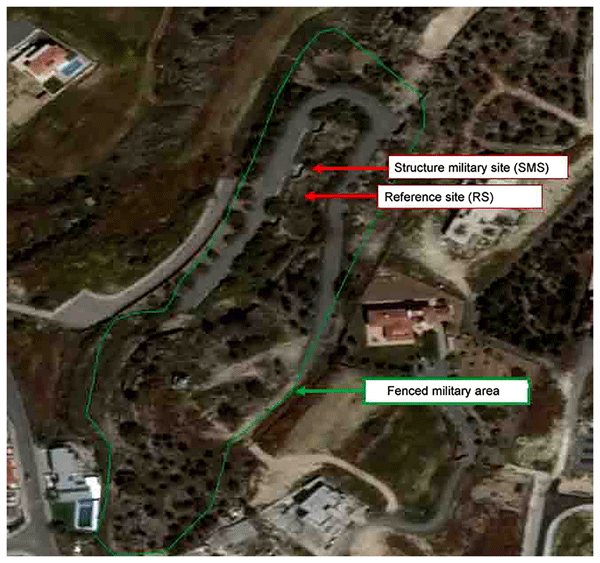 Melillos, G., Agapiou, A., Michaelides, S., and Hadjimitsis, D. G.: Monitoring military landscapes and detection of underground man-made critical infrastructures in Cyprus using Earth Observation, Adv. Geosci., 45, 335–342, https://doi.org/10.5194/adgeo-45-335-2018, 2018. 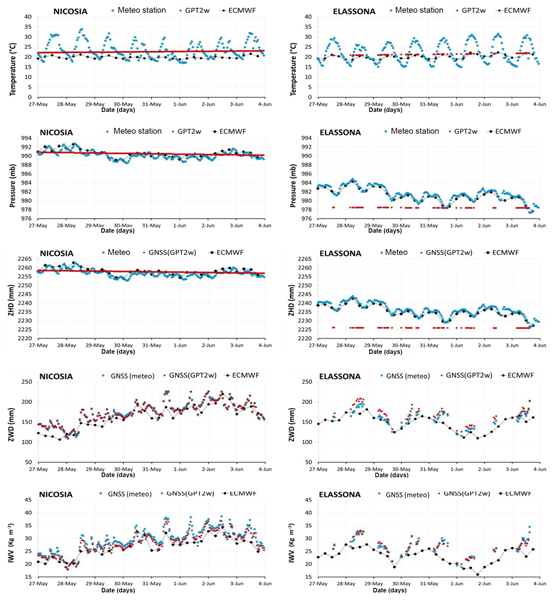 Oikonomou, C., Tymvios, F., Pikridas, C., Bitharis, S., Balidakis, K., Michaelides, S., Haralambous, H., and Charalambous, D.: Tropospheric delay performance for GNSS integrated water vapor estimation by using GPT2w model, ECMWF's IFS operational model and in situ meteorological data, Adv. Geosci., 45, 363–375, https://doi.org/10.5194/adgeo-45-363-2018, 2018.